Charlotte Robson, Assistant Manager of our Westbourne travel agents, spent a week travelling through the Canadian Rockies on a journey she will never forget. Here are some of the highlights of her epic trip. Our outbound flight was on board the new Dreamliner in Economy Class and coming home we were on board the A380 in Club World. We had an unfortunate situation on the way out due to flights being overbooked and bad weather the previous two days so the airport was very busy. We were all originally travelling Club World both ways but not all of us could get in that class so we had to transfer to Economy. During the flight, things were as you would expect; the service was very good and we received meals that were pleasantly surprising. The Delta Calgary Downtown has been a part of Marriott since September. The Elements Bistro offers all-day dining and the Elements Lounge can also be used as a lunch and dinner restaurant. The hotel features a small fitness centre and indoor pool but no spa. 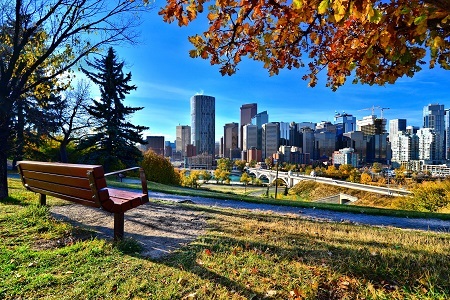 Calgary itself is mainly known for the oil/gas industry, the global petrol show, which brings in high revenue for three days in June and the Calgary stampede. The city has a skywalk system called Plus 15 which links buildings together so there is no need to go outside in the winter. This is located in the downtown areas of Calgary only. After our hotel inspection,we enjoyed a wine tasting and visit to a farmers market which offers six different foodie tours on either a private or group basis. This is great for all food lovers and those who appreciate local wines. Most of the winery grows organic wines which are all $25 or less. The Calgary area is well-known for a range of signature food products. These are Angus beef, bison (superfood), elk, white-tailed deer, honey (fifth largest producer in the world), canola oil, red fife wheat, specialist Saskatoon blueberry and pulses. This family museum is one of Calgary’s signature attractions and is a living history experience based around the 1900s up to 20th century. Entrance fees are $26 per adult, $15 for OAPs and $13.50 for children. They provide Steam Train, horse & cart and old fashion car trips around the park, which are all included in the price of entry. I really enjoyed this attraction. It is great for families, being fun but educational at the same time. We then embarked on an ‘off the road’ Calgary sight-seeing tour, covering the main highlights of the downtown area. We first passed through Elbow Drive and Bell Air, which are the wealthier areas to live, and then had a short stop at the Saddledome Arena where the Calgary Stampede takes place. The stadium also holds big sporting and conference events. We drive via Victoria Park and Inglewood, the oldest neighbourhoods in Calgary, and stopped briefly at Fort Calgary Historic Park and Museum where there is a statue of Colonel James Macleod – the founder of Calgary. Then, before being dropped at our hotel, we ventured through the East Village and China Town areas. In the evening, we visited the Calgary Tower where we enjoyed a hosted dinner at the “Sky 360” revolving restaurant. In 1968, the tower was the tallest building in the city but it has since been overtaken by the Bow Tower and other structures. We travel early morning by coach to Banff and had a full day’s sightseeing on arrival. 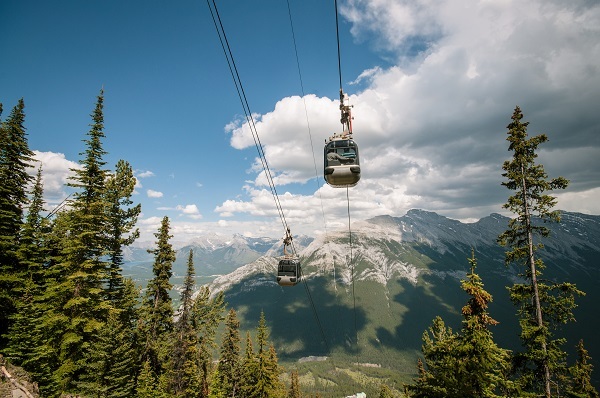 This included a look at the main shopping streets (Main Street and Bay Street), the Whyte Museum, the Banff gondola and the sulphur hot springs. Once we arrived at the top of the viewing peak, we took a walk towards the weather station, taking in the wildlife and stunning scenery. It’s possible to spot elk, wild deer, grizzly and black bears, mountain sheep, marmots and chipmunks across in the Banff area. One of my favourite areas we visited was Bow Falls. It was beautiful with great viewing points and walking trails winding off in every direction. After stopping at the Hoodoo walking trail, we finished the day with a fantastic cruise on Lake Minnewanka. Different views available with mountain being my personal favourite. Junior suites are bigger but the bathroom was noticeably very small. Our hosted dinner was at the Maple Leaf Restaurant in central Banff – a good dining option and very popular. We stayed overnight at the brand new Moose Hotel 4* which was not officially open so they still had work taking place. The bedrooms were mostly complete and it will be very nice once finished. The décor is done in Nordic style and the hotel is set in a central position for easy access to shops, bars and restaurants. This has been refurbished to a more modern/contemporary/Nordic feel which will be upgraded fully in the next few months to a 4* Elk and Avenue hotel. Rooms have a fresh and airy feel and will all be refurbished once the original public areas are complete. We travelled onwards to Lake Louise and Jasper with Brewster Tours – a journey taking approximately one and a half hours. It was a scenic drive, though, along the Bow Valley highway. After arriving in Lake Louise, we checked-in at the Fairmont Chateaux Lake Louise. This is a great choice for local accommodation as the other hotels are in a little village which is 8km away. It’s a great idea to hire a car to help you explore the beautiful area and avoid the need for private transfers. The various viewpoints on route included Bow and Peyto Lake, Big Bend, the Columbian Ice Fields, Athabasca Falls and the glacier skywalk. This is a three-day journey from Jasper to Vancouver aboard the Rocky Mountaineer in Gold Leaf Service, which I would highly recommend. It gives you access to a duplex glass-covered dome with the dining cart below and guest seating on the upper deck. There is also a lift for disabled/elderly passengers. There is spacious, front-facing seating with adjustable chairs. Quick tip – we had the back seats (row 1) and these do not recline, so it’s best to request not to have these if you want to lay back and relax. They split the dining cart into two sittings with seat numbers 1-31 taken downstairs for breakfast whilst the rest are served scones and tea at their seats before being invited downstairs during the second sitting. Then, at lunch, half go downstairs again and the rest will be served a wine & cheese pairing before the roles are reversed for the second sitting. Full drinks and snacks menus are offered throughout with friendly and efficient service by all the staff. 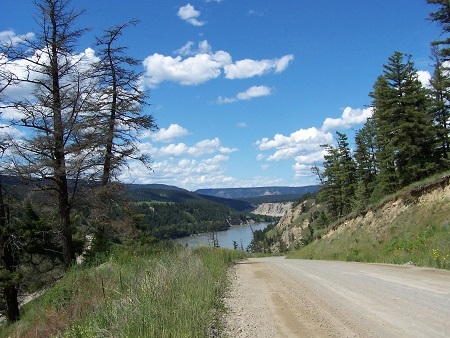 The first sector, from Jasper to Quesnel, follows the Fraser River via the Yellow Head Pass and Moose Lake for approximately 332 miles. On arrival at Quesnel, we transferred to the Best Western Tower Inn 3* for an overnight stay. This was pretty basic as expected but clean & comfortable. It’s a very small town so you are limited in regards to the choice of restaurants, but we wandered down to a casual sports bar called Mr Mikes that was serving steaks and burgers. We departed early, at 7am, on a 311-mile journey to Whistler. We followed the Fraser River through gold rush mining country and travelled past 22 miles of the Seton Lake before arriving into Whistler at around 8pm. This is a beautiful hotel with stunning views overlooking the dramatic Blackcomb Mountains and situated within a modern alpine setting. 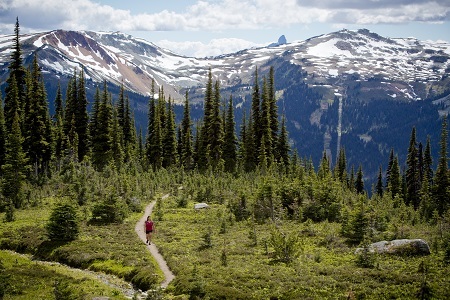 It is located adjacent to the Four Seasons Resort within Whistler Village. There are 550 rooms and this is the youngest hotel in the region. I preferred the deluxe valley view rooms but you can have a similar view with slope rooms. Fairmont Gold members receive inclusive breakfast, afternoon tea and canapés and private check-in on the club level. Two Penthouse suites including the duplex-style Whistler Suite with bedroom & bathroom upstairs. This sleeps up to four and offers total luxury. We had a hosted breakfast at the Stoneridge Restaurant and a short walking tour of Whistler Village, before travelling up by gondola to the Peak-2-Peak system that connects Whistler to the Blackcomb ski and snowboarding slopes. We took a chair lift to the Ice Walls and walked through to Blackcomb Mountain where we stopped for lunch at Rendezvous, via the glass bottom Gondola. After lunch, we travelled back to the village via the chairlift. Stepping back on board the Rocky Mountaineer, we headed onwards to Vancouver, a journey that would take about four hours. We were served a canapé platter with drinks from our seat, before being greeted in Vancouver by the grand celebrations for “Canada Day”. This hotel is typical of a Sheraton business/leisure property with spacious rooms and in a good central location. We got to experience the “Fly over Canada” simulator experience. This was an exhilarating ride which gives you a magical insight into Canada’s stunning scenery and the cosmopolitan city of Vancouver. You can find this downtown at the waterfront. We then transferred to the Westin Bayshore hotel to check-in for our Zodiac harbour cruise over to Granville Island. This is where most locals buy all their produce as there are indoor farmers markets, gift shops and artisan arts & crafts stores. This is located on the harbour side with local musicians playing and lots of local specialities to try. First stop – Kirin Chinese restaurant for some dim sum. In Hong Kong and China, it’s only served from 9am to 3pm and not traditionally in the evening. Second stop – Urban Fare groceries and casual dining restaurant for cheese tasting, tapas, truffle hummus & wine. Third stop – ‘Market’ by Jean George at the stunning Shangri-La Hotel. He showcases his food here as a Michelin-starred chef, however, there are actually no Michelin-starred restaurants in Canada as they feel it becomes unaffordable. They have very good restaurants but none have Michelin status. Fourth Stop – Thierry Chocolaterie. This decadent place offers high-end patisseries and chocolates that you can’t help but be tempted by. The macaroons were amazing! Fifth Stop – Bella Gelateria ice cream specialist. Connected to Fairmont Pan Pacific, this parlour is very famous and has a constant queue. I had the most amazing time in Canada and the trip gave me a huge amount of information and knowledge to encourage holidaymakers to travel to this great destination. I would highly recommend the Rocky Mountaineer for those who are less mobile but still want to experience the stunning scenery and diversity that the Rockies has to offer. The journey really captures the exhilarating and breathtaking scenery from the coastal rainforests to the Canyonlands & Gold rush region. If you are planning an Alaska cruise as part of your trip, Rocky Mountaineer advises to do this first and take the train towards the end of your holiday. Doing things this way around builds your expectations and allows you to end with the finale of the spectacular Canadian Rockies! 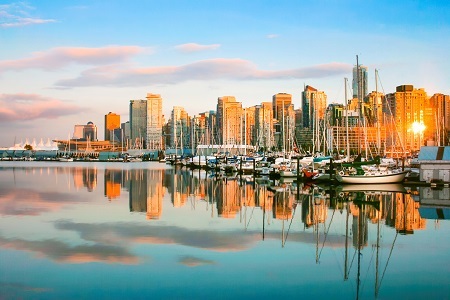 With a diverse combination of laid back city life in Calgary, cosmopolitan buzz in Vancouver & outdoor life in the Rockies, a trip like this attracts almost any type of traveller. Overall, this journey will hold fond memories and I’m very lucky to experience all this with Prestige Holidays. I can’t wait to express this to all my customers. To plan your own Canadian adventure, drop by your local Fred. Olsen Travel branch. We have travel agents in Norwich, Ipswich, Newmarket, Dorchester and various other locations in East Anglia and along the south coast.